A few years ago I attended a three-day conference in a city on the other side of the country. I took a lot of notes. I remember the speakers being interesting. I know that I left with a few ideas to dig into. Yet on the flight home, I misplaced my notebook. I tried to re-create my to-do list, but I drew a complete blank on the specifics of conference. I couldn’t remember what I heard or decided to do. I moved on. The conference cost at least $1,000 to attend once I accounted for the flight, conference fee, and the pizza dinner I bought to thank my local host. A hotel would have rounded the cost up another $500. The conference cost the organizer a lot too! At least one staff member worked on the conference for six months, with the entire staff joining for the full three days. Money was spent on the venue, keynote speakers, and program. I’m sure sponsorships helped to offset some of these costs. The opportunity cost of doing a conference, however, includes all of the projects you would do if you had that time back. A lot is on the table when it comes to conferences, so let’s talk about how to design a learning-full conference. That’s a conference where people get the support they need before, during, and after the conference to reflect and act (even if they lose their notebook!). It is a conference that has adult learning principles baked into its design, helping people to process information, remember it, and connect it with action steps. It is a conference that stays with the attendee past the last session, placing the conference into a larger constellation of learning experiences. These are the kind of conferences that are worthy of the time and financial investments we make to move our people forward. Click on the cover to download a copy. We give you samples and tools to be able to implement what we are talking about right away. 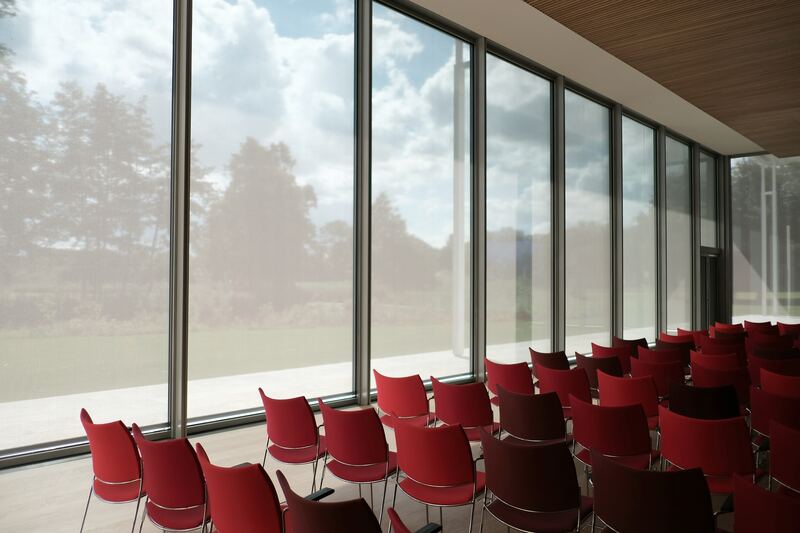 If you design conferences, we hope this e-book gives you ideas. If you attend conferences, please feel free to send this to conference organizers. We might create a movement for better conferences everywhere! I drove home from an intense learning event emotionally exhausted. It had been an exhilarating day of deep thought and connection. A few groups had made significant breakthroughs on important issues. When nonprofits make breakthroughs, lives change. It was a long day, and when signing off from a debrief with my colleague, the words rolled off our tongues: I love you. I love you, too. Love is a radical word that is both weak and bold, vague and crisp, all at the same time. It’s a word I lean on when no other seems to fit. What is the right word to describe the feeling in a room when people become so motivated by something they just heard or learned that they form connections that transcend that time and space? The word, I believe, is love. I was first struck by the word “love” used in a non-typical way when reading Steve Patty’s book on evaluation, Getting to What Matters. Evaluation is hardly the bastion of romance and roses, yet his Heart Triangle describes the transformation I see in the classroom. He starts with the three human capacities– know, feel, and do– and shows how they can deepen into three defining characteristics– what we believe, love, and become. When knowing, feeling, and doing work their way into the deeper recesses of the heart, when they influence the core elements of someone’s being, and when they seep into the enduring essence of a person, we see true and sustaining human impact in believe, love, and become features. Knowledge becomes action becomes a transformed person. Feeling something shifts the tectonic plates that make us who we are and brings to our surface a commitment to being different. That is powerful learning. 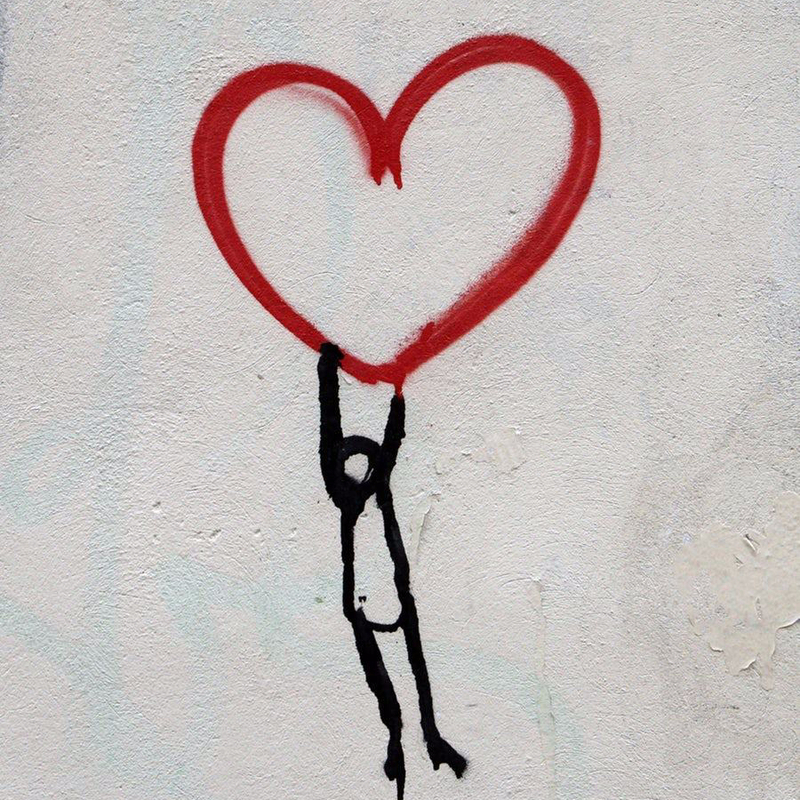 Perhaps due to the Brené Brown effect, love in leading and living is becoming part of the vernacular. “Love of learning” has long been used to describe the delight a parent has when a child reads late into the night. I’m excited to take delight in the “love in learning” that brings magic to a classroom, a conference, a community. The 2019 “Train the Trainer Series” runs on February 26 and March 26. Join us! 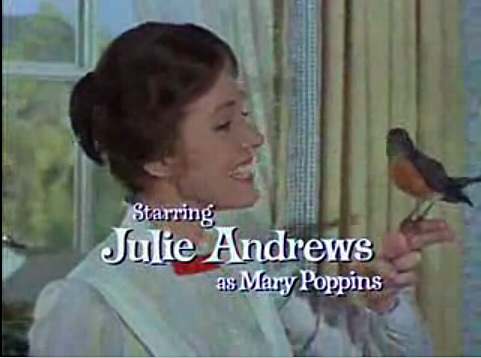 We walked out of Mary Poppins Returns singing “Let’s Go Fly a Kite.” Five minutes after hearing “Nowhere to go but up,” the flying-through-the-sky song from Returns, we were remembering the elevation song from this movie’s precursor, the original Mary Poppins from 1964. Why is that? How is it possible that we couldn’t remember a single song from Mary Poppins Returns,even five minutes after the credits rolled? With this research question in front of us, my daughter and I set about listening to Mary Poppins and Mary Poppins Returns songs back-to-back. As the younger of us pointed out, the music in Returns mirrors the original. There is a song for when the kids don’t want to do something, one that involves people floating to the top of a room, and of course the requisite computer-animated scene of children dropping into an inanimate object. Tell people what you are going to share in clear, spoken language. Bonus points if you sound as smooth as Julie Andrews. Explain why it matters. We are asking adults to do things that may seem as fun as taking medicine. It has to be worth it! Demonstrate what you want them to do. Whether it is a click of the fingers or something much more complex, show them what good looks like. Let them do it, even if they don’t succeed at first. Stand to the side, and step in only if things get out of control. Like a toy cabinet that won’t stop opening and shutting. Of course a lot of credit goes to the songwriters. The Sherman Brothers wrote lyrics that masterfully fit into our contextual experience. I can understand “let’s go fly a kite” and “love to laugh” without trying hard. “Turning turtle?” Not so much. Effective teaching is a magical combination of content and delivery. And that’s no tommy rot. It would be hard to imagine a more ridiculous purchase. Straight out of a trainer tools magazine, a $39.95 mayonnaise jar complete with golf balls, pebbles and sand. The prop was designed to demonstrate time management. I couldn’t toss the catalog into the recycle bin fast enough. And yet a mere two hours later, our learning team gathered to talk about our new micro-learning strategy, and there I was talking about the mayo jar. Luckily I didn’t have to spend $39.95 to evoke the image of the mayo jar and the philosophical question of when it is actually full. You see, if you imagine our learning program to be a mayo jar, it is full of golf balls: webinars or workshops that require registration and a commitment of time. We run 150+ of these a year (with an amazing staff of 3). We even have the super bouncy balls of our trade: conferences. As much as they flex and squish into different shapes and sizes, they take up even more room than the golf balls. The jar seems full. But there is still space for the kidney beans. Those are the many five-to-ten minute videos that we produce on key elements of content. We have the five “chunks” of board success, and the five buckets of finance knowledge. We’ve got resources on strategic planning and nonprofit law. These take up less room than the golf balls, yet you can still see small pockets of space. That’s where the grains of rice come in. These are the short 1-2 minute lessons on one idea that fill the gaps left by everything else we offer. Captured on short videos, they include the ideas that people hear in workshops yet need to hear again to be able to apply them. They are the tips that we wish we had time to share in webinars. They are our content innovations too late to get into the professionally produced, longer videos. They are what folks have asked us to explain, as well as the “why this matters” intro videos that we upload to social media. Over the next two weeks, we will be installing “WN Studios” in an unrented space near our office. We will start by filming video clips to be used in our newest initiative, Next Level Nonprofits. We’ll be tracking data to see if people actually watch the videos, and ultimately if they report back that they made a difference. By this time next year, our mayo jar will indeed be completely full. I would bet $39.95 on it, but we already spent that on the tripod. Mark Nilles (Humentum) and I have been working on an ebook on conferences. Read the first Chapter now and look for the full ebook in January. Sign up to make sure you receive it when it comes out! The 2nd annual “Train the Trainer Series“ starts February 26. Based in Seattle, this popular two-part series features Guila Muir and Tracy Flynn teaching participants from across Washington how to deliver an awesome workshop every time. Just in time for conference season! Two weeks ago, nonprofit and community leaders gathered together in Yakima, Washington, to work in teams on hard issues. In several different conversations, people used the word “courage.” They described some people as having it, others as needing it, and a general hope that the community could muster the courage needed to do things differently. I couldn’t help but think back to a time when a different community of leaders used the word “courage” to describe what they needed to have. I wrote about that experience in 2012, and the lessons from then seem as relevant now. As we go into the Thanksgiving holidays, I am tremendously grateful for the women I got to know in Salvador, Brazil– and the nonprofit leaders and partners across Washington I work with today. I was in Salvador, Brazil, last month teaching a class on NGO capacity building and grant writing, sharing everything I know about building community and structure around a mission that makes the world a better place. On Friday, as all of the tools and tricks it takes to run an effective organization settled into the minds of class participants, one leaned forward and said, “Temos que ter coragem.” We have to have courage. Courage that allows them to pioneer new ways of doing things, knowing that they will make mistakes in front of each other along the way. Indeed, courage was on the minds of these women that day. A discussion about program evaluation shifted from graduation rates to measuring any gain in self esteem that might come through education and social support. They described trying to get young women to even consider taking a university entrance exam within a culture of presumed failure. Each of the women in the room had taken the Vestibular at least twice—several three and four times— before passing, and the young women they work with know that it is uphill battle to learn enough to pass this rigorous exam. Their dreams of achieving a university education required courage to march through the pain of endless study with no guarantee of success, foregone wages, and, for some, social stigma for even trying. As it turns out, the inner demons that haunt young African-Brazilian women were in good company. The night before, a police strike began, resulting in violence and looting in the neighborhoods to which these women were returning to that night. By the time this conversation was happening, over eighty people had been killed, and randomness of crime had uprooted any sense of public security for the poor residents of the city. The fear of what might happen was written on their faces. They left early to journey home on public buses, some traveling alone as far as the airport. Courage was on their minds, and now it is on mine. These women are working in a space in which they have to muster together personal, professional, and social courage, battling internal and external demons around every turn. They have to lift the spirits of others—giving others hope for a better tomorrow—when the same demons haunt them. The success they achieve in these circumstances is heroic and humbling. There I sat, listening to their discussion, aware of the space between their experiences and my reality. What was my role in this partnership? Encourage? Encourage has someone else as its object. It is passive, distant, and possibly condescending. I was on a flight out the next morning. Who was I to tell them to keep up the great work? What struck me about my week in Salvador was how open these women were to learn and to teach, how they had made a commitment to social change and were in this work for the long term, and how they intuitively understood that their big societal issues were made up of many small problems, all of which could be tackled with the right resources. They weren’t afraid to have the hard conversations. Our alternative to encouraging them is to have courage with them. We can be partners in hard conversations that cross cultural and power boundaries, giving each other the benefit of the doubt along the way. We can challenge our own limits, professionally and personally, in solidarity with them. And we can build a long-term community in which to learn, celebrate, and labor together through whatever demons come our way. To make a difference in this world, they reminded me, temos que ter coragem.